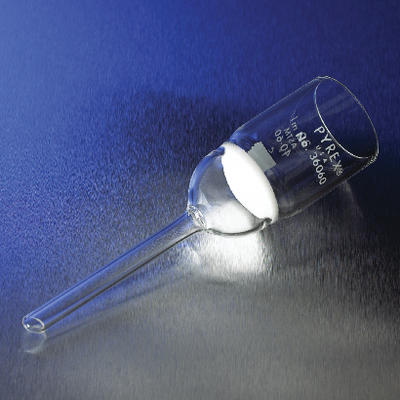 These buchner funnels are made of Pyrex® borosilicate glass. Caution: Disc should not be subjected to pressure differential in excess of 1atm. Top edge is beaded. The 2mL size is suitable for microchemical work.